“Pan et Syrinx” (or as inscribed on the plate, “Pan et Sirinx”), 1724, after a painting by Nicolas Poussin (1594–1665), plate 42 from the series, “Impostures innocentes, ou Recueil d'estampes d'après divers peintres illustres”, published in Amsterdam in 1734. 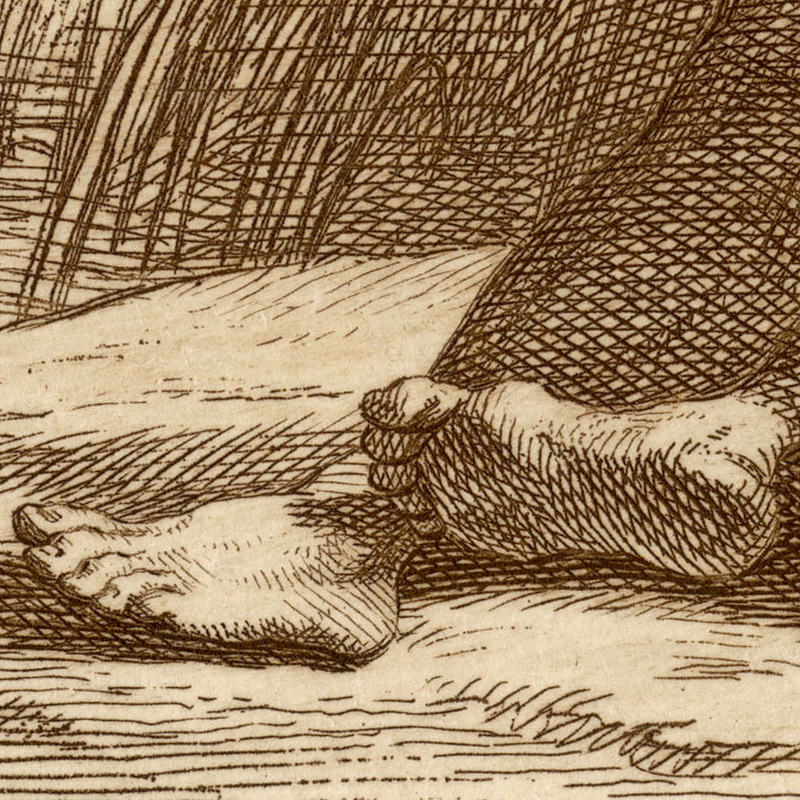 Condition: well-inked impression showing slight wear to the plate and with generous margins. 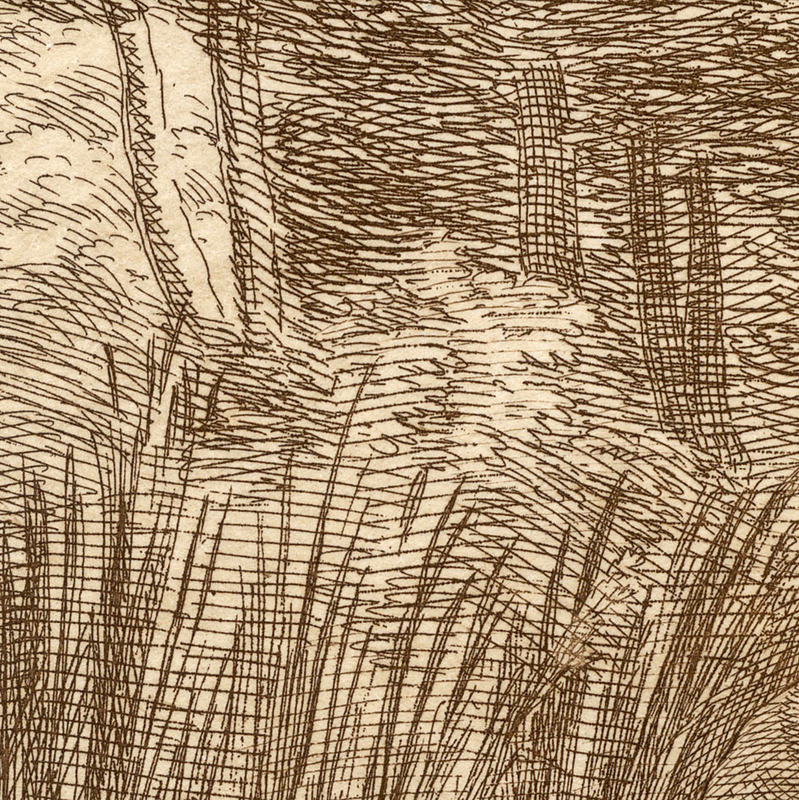 There is scattered, very pale spotting and age tone showing in the outer edges of the margins; otherwise the sheet is in excellent condition for its age. 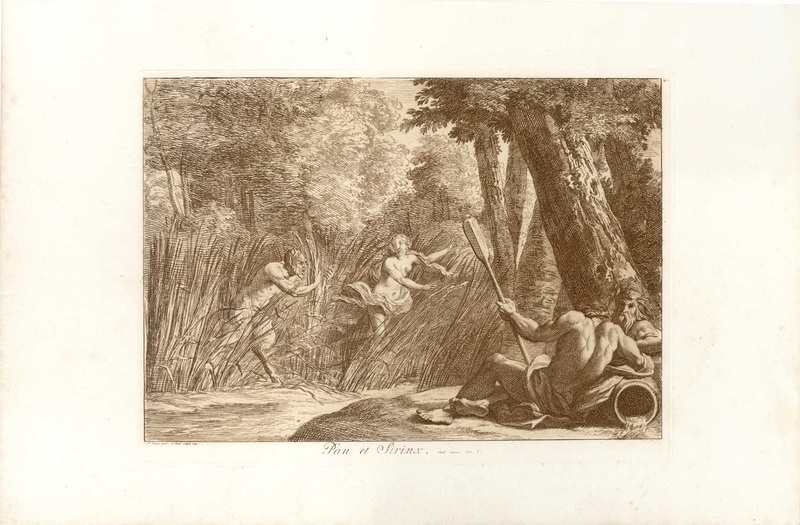 I am selling this masterpiece of interpretative etching of a painting by Poussin for AU$130 in total (currently US$97.71/EUR82.99/GBP72.99 at the time of posting this listing) including postage and handling to anywhere in the world. 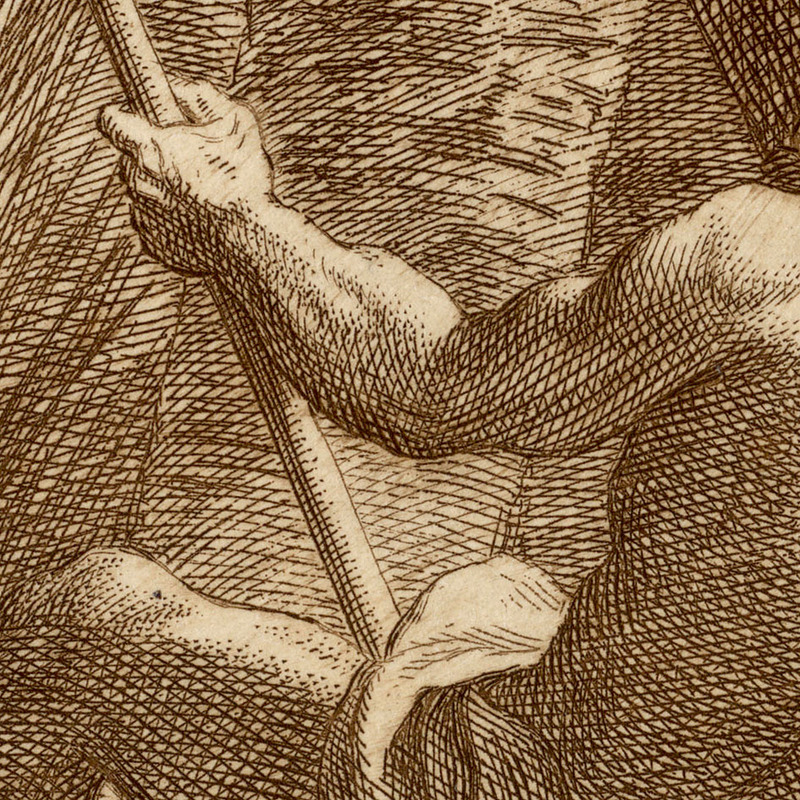 If you are interested in purchasing this etching by one of the world’s master printmakers, please contact me (oz_jim@printsandprinciples.com) and I will send you a PayPal invoice to make the payment easy. Syrinx, the loosely dressed young lady seen being chased by the lust driven satyr, Pan, through the reeds, is best known as a wood nymph famed for her chastity. 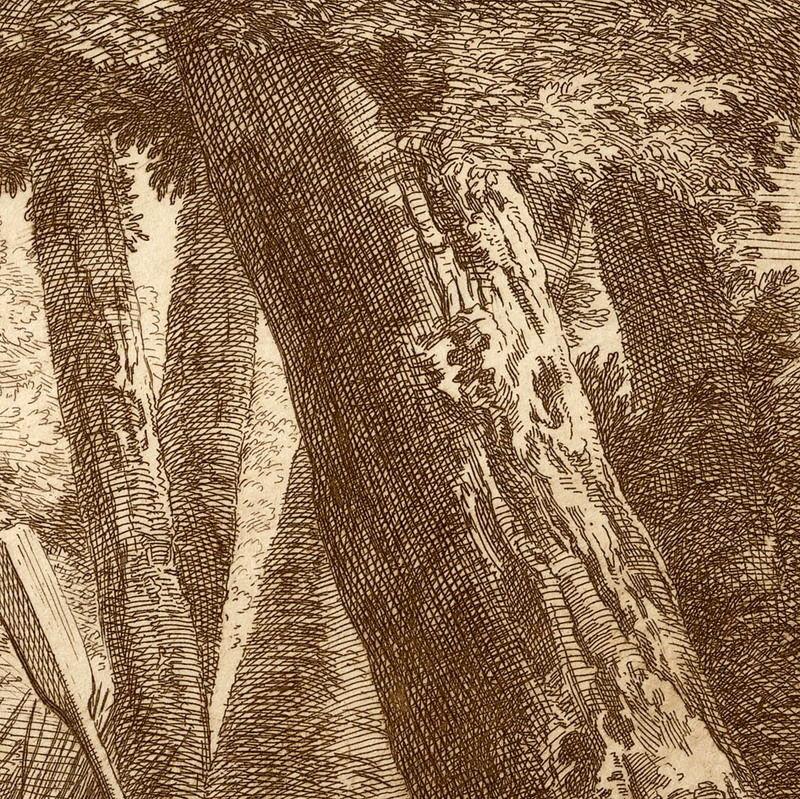 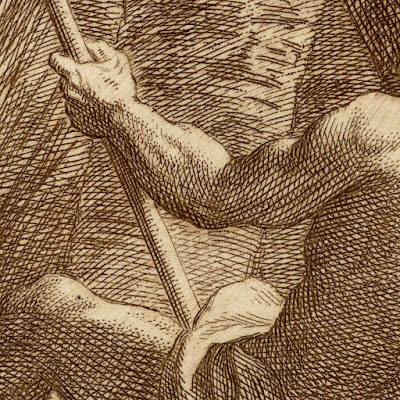 Her father, Ladon, is the river god shown in the lower right foreground with his mate/companion, Artemis. 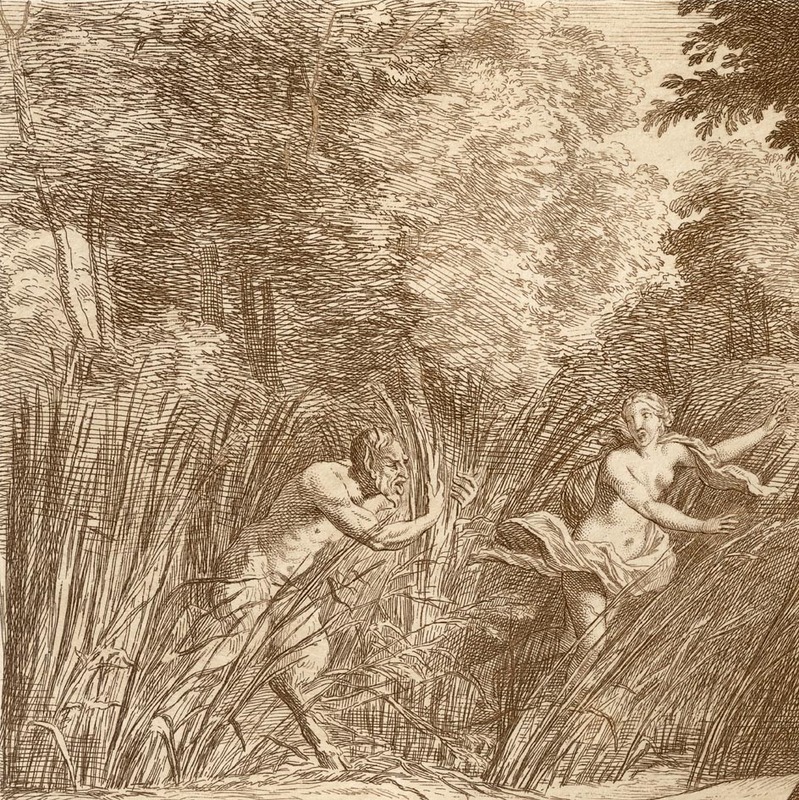 Heeding Syrinx’s pleas for help, Syrinx is metamorphosed into a handful of marsh reeds just as Pan grasps hold of her. 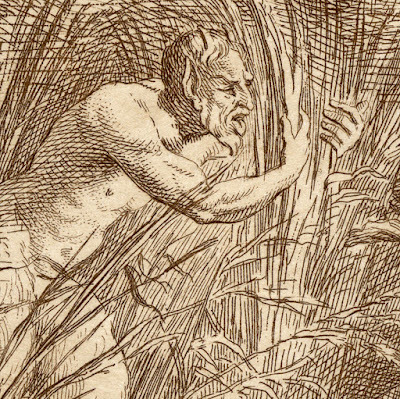 In his dismay, Pan sighs rather strongly and the rush of air from his lustful anguish groan causes the reeds that were once Syrinx to resonate a mournful sound. The next part of the story is that Pan decides to mould the reeds he holds into his namesake musical instrument—the pan-pipe—so that he may carry the haunting sound of Syrinx with him forever. 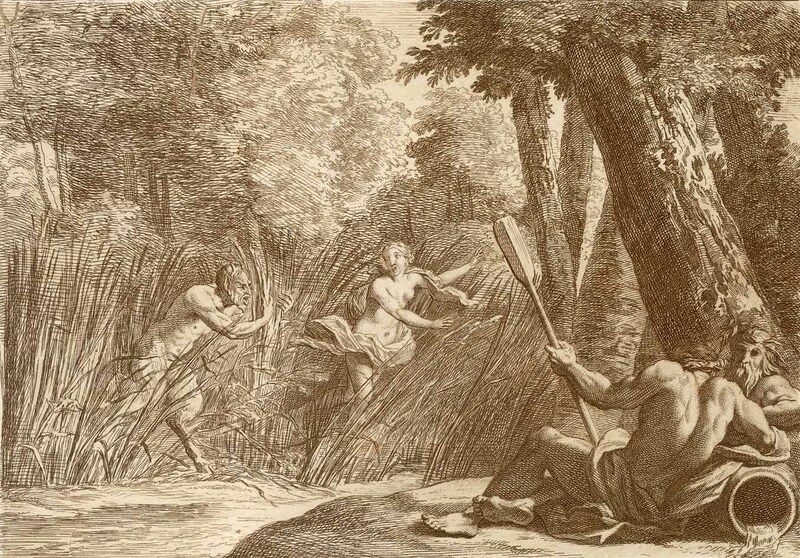 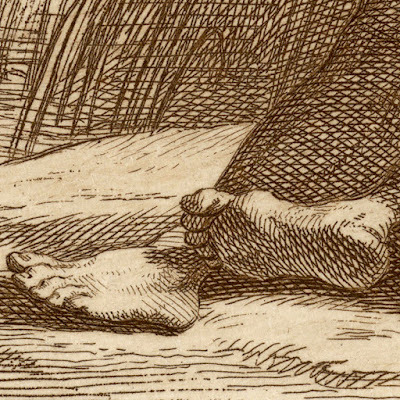 What I love about this freely drawn etching is how Picart has translated the expression of movement captured in Nicolas Poussin’s oil painting using a rhythm of zigzag horizontal hatched lines following Pan as he chases after Syrinx. 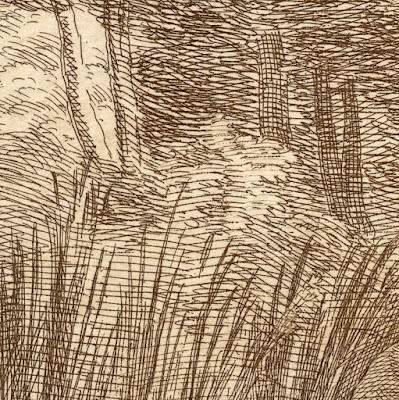 This expression of movement using “flowing” lines behind Pan—what illustrators describe as agitrons—is made more effective by the contrast of these quickly laid “movement” marks with the tightly controlled use of contour and shading strokes rendering the trees on the far right of the composition.